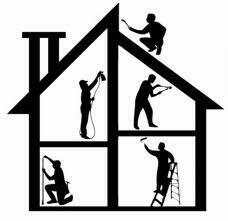 Should I Do Repairs on My Home Before Putting It on the Market? There are a lot of factors involved in putting your home on the market, so you shouldn’t overburden yourself by making unnecessary updates that buyers won’t even notice. However, there are some areas of the home that should definitely be made over before listing. Here’s a breakdown of the repairs and updates that are worth doing before listing a home, and the ones you can skip. If you have broken or outdated light fixtures, swap them out for new ones. It will quickly make your home look more modern and doesn’t take a lot of time or money to do. Choose a sensible fixture that most people will find agreeable at a mid-range price. Nothing brightens up a home like a fresh coat of paint. This will appeal to buyers because it will make your home look cleaner, newer and bigger if you use light colors. If your cabinets are in really rough shape, consider replacing them. It’s hard to get on board with buying a house if the kitchen is in disrepair. If your cabinets are just a little outdated but still in good shape, consider painting them for a more modern feel. No one wants carpeting these days. So if you’ve got it, try to get rid of it. Wood floors are what most homebuyers are looking for now. If your appliances are still in good working condition, you could just use a little appliance paint to spruce them up. However, if your appliances are practically ancient, you might want to buy new ones before putting your house on the market. Outdated appliances could weigh negatively on how much your home is worth. If you have a roof that needs repairs, do it before you sell. Homebuyers do not want to move into a house that may have a leaky roof that will cause water damage, mold and more. This is one item you must fix before listing your home. To most people, the presence of a separate laundry room is not a necessity. If a house has one, a buyer will just see it as a bonus in most cases. If you have cracked tile or peeling paint in the laundry room, leave it, and devote your time to more important areas like the kitchen and the master bedroom. If you have a finished basement, that’s another nice bonus you can add to your home’s listing like the laundry room, but it’s not essential. If your basement den could use a little TLC, don’t worry about it for now. Keep your focus on areas of the home that the buyer is most concerned with, like the flooring and the HVAC system. Be very careful not to over improve. Adding in a fancy wine refrigerator or task lighting will not add value to your home. Rather, it will cost you money and have little to no impact on the buyer. If you’re looking to list your home, give us a call today and we’ll make sure it gets maximum exposure.